Believe it or not, we are still a few weeks away from the official first day of winter. Although the leaves have definitely fallen off the trees and the pumpkins have disappeared, we’re still technically in fall. As with every season, there is an opportunity to reinvigorate your home. That is probably even more important at the start of the holiday season. One call to Junk King Boston will help you clear out all the clutter you gathered in the last couple of months or maybe last couple of years. Are you ready to transform your home? Junk King Boston is part of a national franchise of professional junk haulers who have been in this line of work for over 10 years. In that time they perfected the business model that allows them to quickly become the leading junk removal service in whatever area they open shop. The Boston area has been no exception. Since they began collecting junk in this region Junk King Boston has helped homeowners, businesses, real estate agents, apartment renters and contractors all sorts of rubbish and debris. Just think what they can do for you. The reason Junk King Boston is so successful is that they literally do all the work for their customers. That starts when they dispatch a two-man moving crew to take care of the junk removal task. This is the team that rolls up in a big truck and with a friendly attitude. Because you have two movers at your disposal you could finally get rid of things like an old sofa, a bedroom set, a refrigerator or any other bulky item. This is also the perfect company to turn over your old clothing and household goods. That’s because they’ve established a partnership with local charities are in need of these particular items. That means what you’re tossing out today can be given to a family in need tomorrow, which is especially relevant at this time of year. You can set up your junk removal session online or over the phone. Once completed you’ll wonder what took you so long to make that call! Isn’t it time you lived in a home free of junk? Junk King Boston can make it happen! 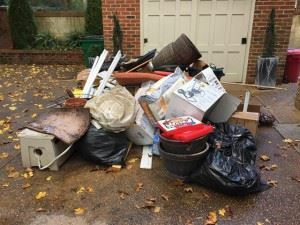 This entry was posted in junk removal and tagged clutter, Junk King, junk removal on November 30, 2016 by Scott Pozerski. Last updated August 9, 2017 .